Even though I will be running remote backups, I wanted to make sure I had a little more redundancy than just RAID 10 and remote backups. 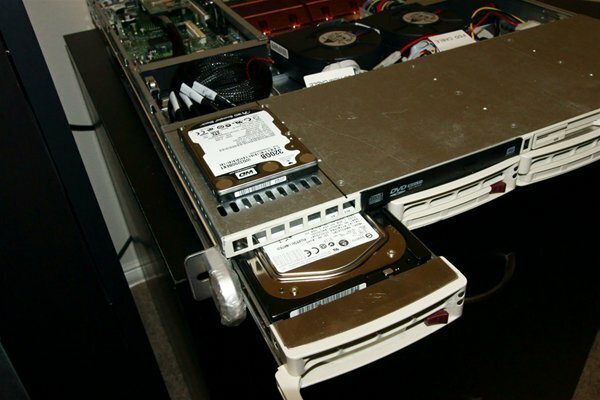 So I took it upon myself to figure out how to cram an extra hard drive into an already crowded Server. 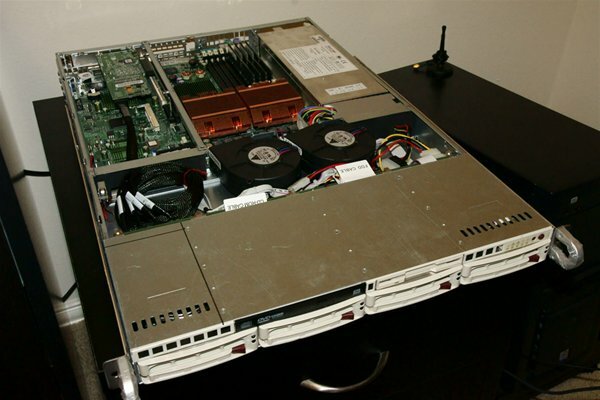 The Server is a SuperMicro 6014-32 I bought off ebay. 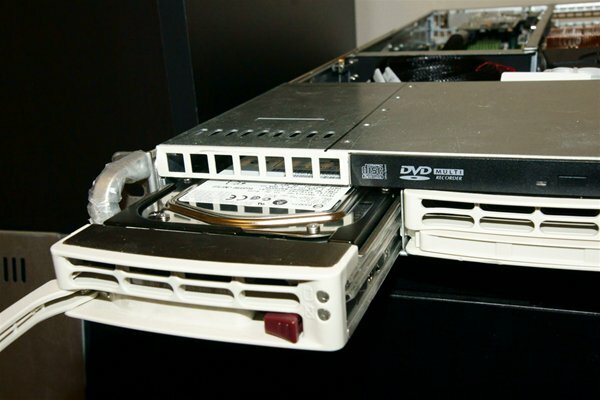 It is one of the few servers that features 4 hot swap drives. 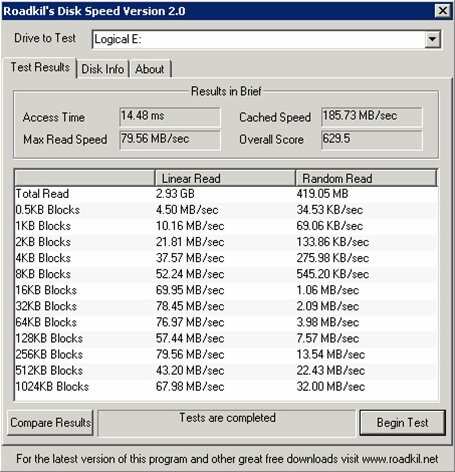 This is perfect as I was able to setup the server in RAID 10, giving me 1 logical Drive that would have the speed of a 2 disk RAID 0 setup, and the redundancy of a 2 disk RAID 1 setup. 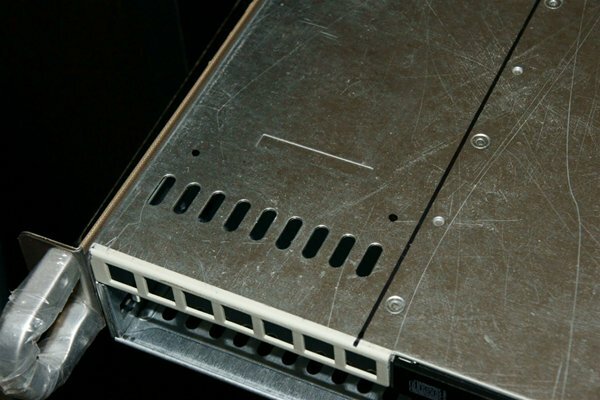 But I have never been a fan of running a box off a single drive. So I needed to try to cram another drive into the box somewhere. 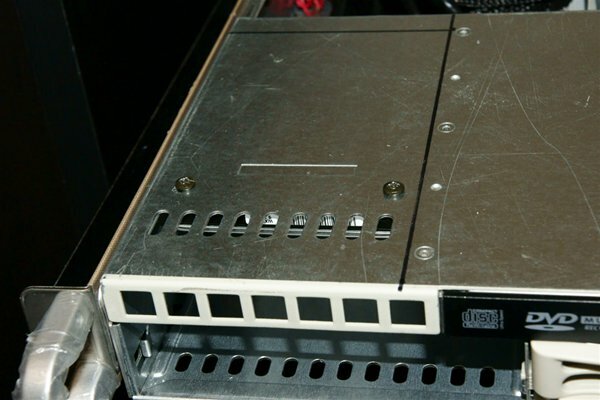 After looking over the server I noticed there was some dead space above the first hot swap 3.5" drive. This space looked like it just might fit a 2.5" laptop hard drive. Notice the air vent above the drive. Some might argue that this area needs to be open for airflow. but I felt there would still be plenty of room when I was done. Here you can see how big the space is. Looks like plenty to fit my laptop hard drive. I figure two screws should be enough to keep this snug and from rattling around. 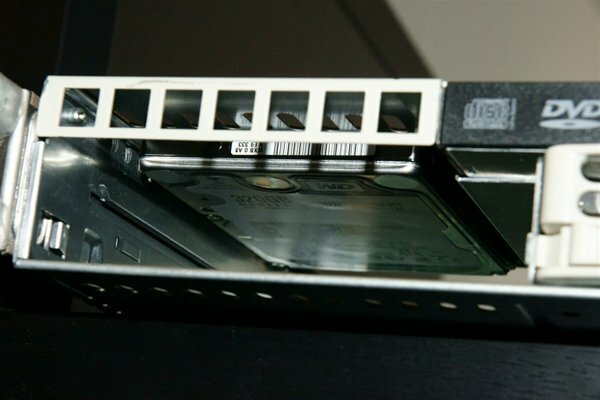 Here you can see how I mounted the drive using the hard drive's factory mounting holes. Something else to think about is I have space on the right side of the case where I could mount another drive like this. 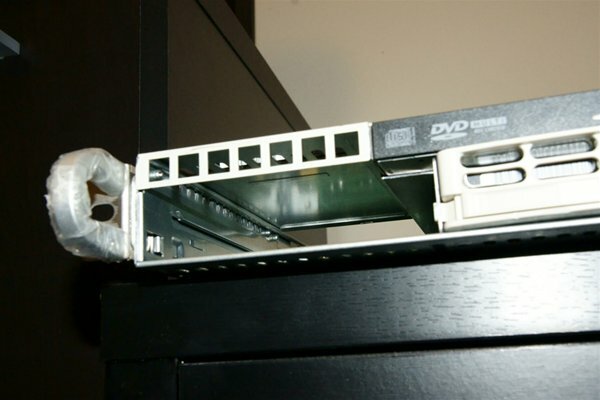 Maybe in the future SuperMicro will add some mini 2.5" hot swap ports for these drives, so guys like me don't have to hack them into the case.